Page Parkes Model + Talent: In Touch Weekly's Article on Kelsie! In Touch Weekly's Article on Kelsie! 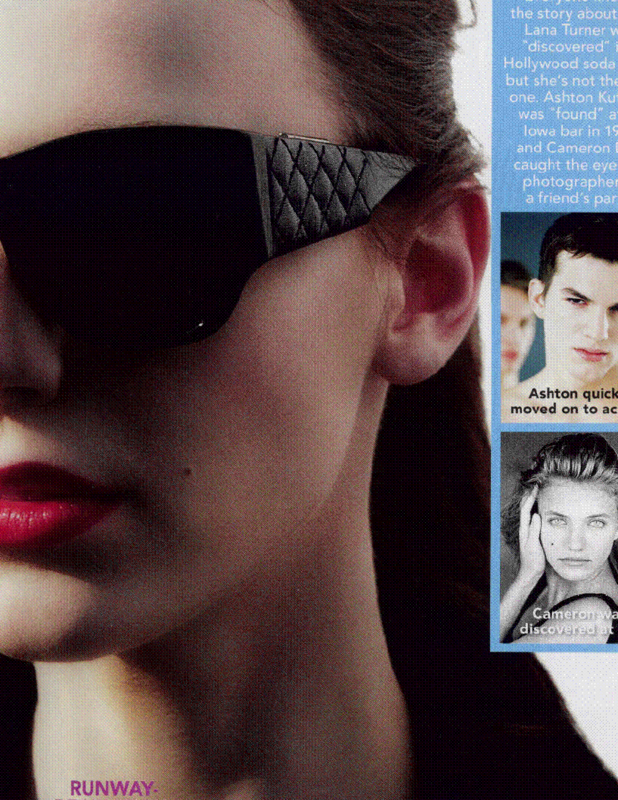 In Touch Weekly dedicated a 2 page spread to Kelsie Moody, who was "Scouted" by Page Parkes on the new E! Entertainment reality show! 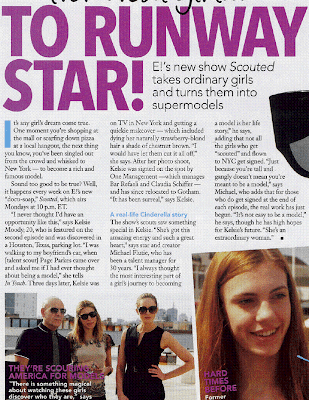 "From real girl...to Runway Star" is the article below, and it highlights just how much Kelsie's life has changed since being signed to One Management - and it was all caught on camera for the show Scouted! We are so happy for Kelsie and we cannot wait to see her continue to succeed! Kelsie seems so genuine and kind. I hope her and her mother continue to heal their relationship and that Kelsie has huge success in the modeling world.